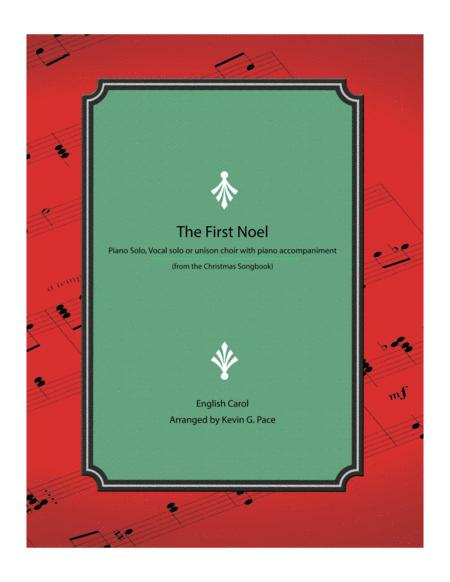 The First Noel - piano solo, vocal solo or unison choir with piano accompaniment. Composed by Kevin G. Pace (ASCAP). Christian, Sacred, Christmas. 3 pages. Published by Kevin G. Pace (S0.215891). A fun arrangement of this much-loved Christmas carol for piano solo, vocal solo or unison choir with piano accompaniment.